Bounce happy in this undersea world, surrounded by the deep blue sea and all our favorite fish characters. 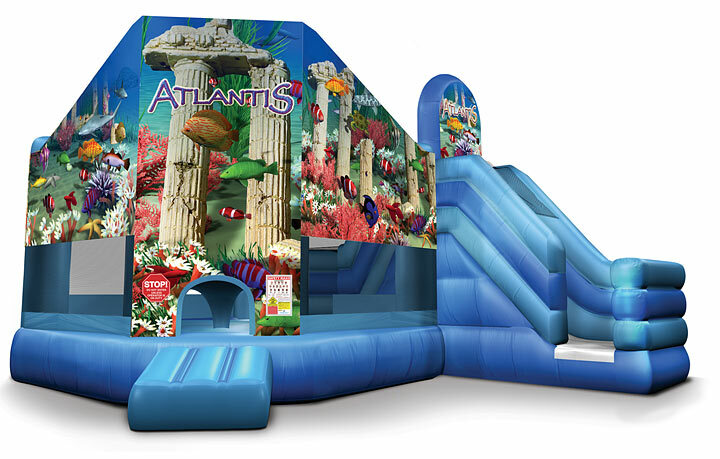 Climb the ocean wall to rise to the top and slip down the slide to return right back to the bouncing ocean waves! This 3 in 1 combo combines the bouncing all kids love with climbing and sliding action as an added bonus. 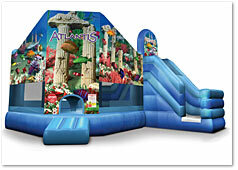 A perfect combination piece for any party-just give us a space of 18'x22', and we will bring the ocean to you!